Saturday’s my bread making day. Well, really I look for any excuse to make bread, but Saturday is my experimentation day and it’s my ‘oh, no, we’re out of bread’ day. This is a really good bread. This bread is a result of a lot of fooling around with different flour combinations and moisture combinations. It was so worth the effort. The texture is amazing: chewy yet fluffy, a little bite to the crust. It really has all the qualities of a good homemade bread. 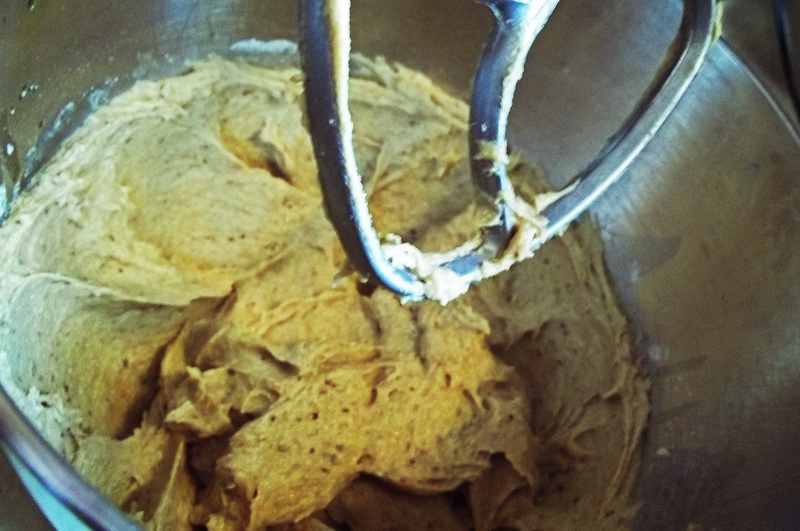 If you don’t have teff flour, find it. I know they sell it on amazon, but I’m not sure if that’s the best price for it. There’s only one store in our area that sells teff flour, and it’s a little expensive, but it’s worth the cost. 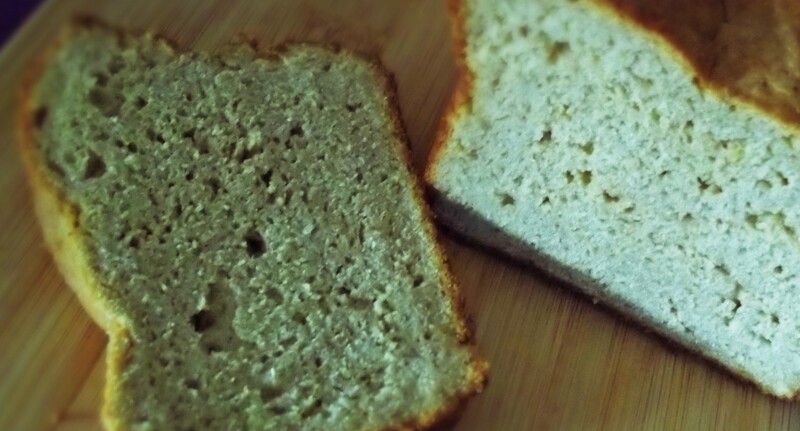 It adds a nice wheaty sort of gluteny texture to the bread. Teff has a nice, mild taste as well. I found Bob’s Red Mill Teff in our store and they sell it in bulk as well. Hope you try it out sometime. 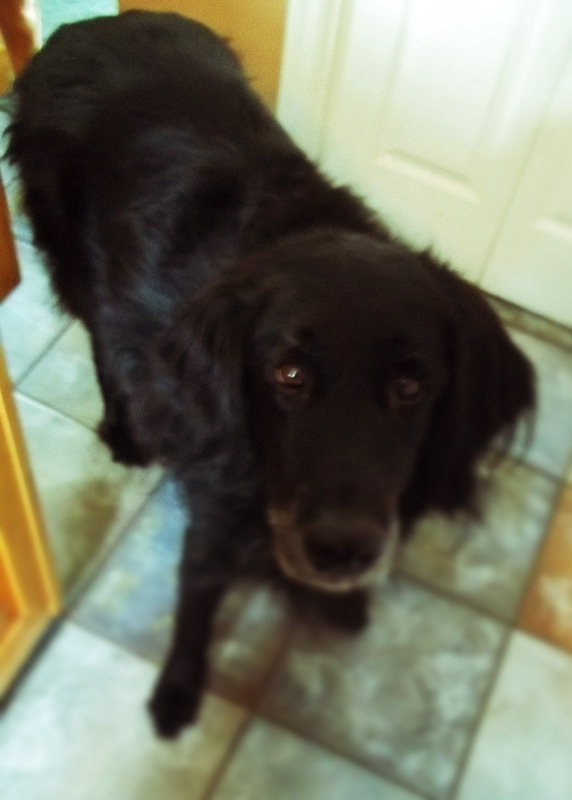 (I was baking with my trusty companion this morning, so I have to give him a spot in my blog this morning.) Enjoy! 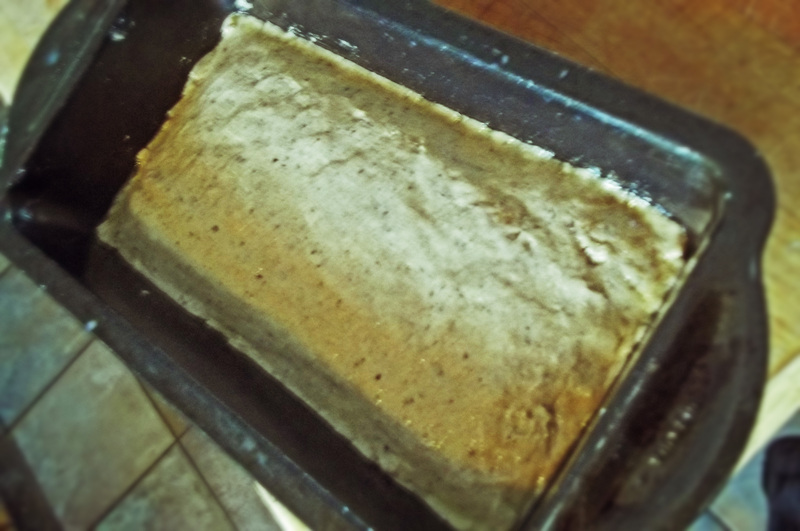 Transfer mixture to a greased bread pan and smooth out with wet fingers. Baking hint: gluten free flours don’t spread the way wheat flour does, so whatever shape you want your loaf to be, make sure you shape it that way. Cover with greased plastic wrap and let rise until double, about one hour. While bread is rising, preheat oven to 375º. Bake in preheated oven for about 45 minutes. Let cool before slicing. 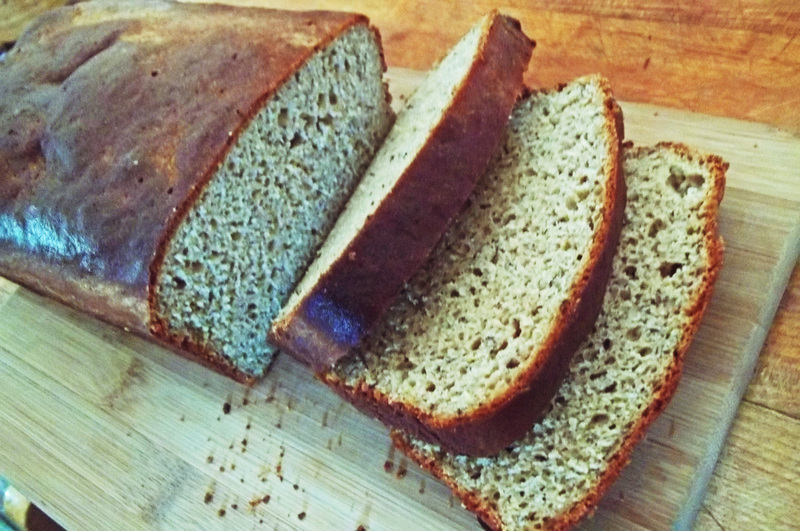 This entry was posted in Breakfast, Gluten Free Baking, Gluten Free Bread, Gluten Free Breakfast, Gluten Free Cooking, Gluten Free Food, Searching For Gluten Free. Bookmark the permalink.